For anyone looking for a touch of the Alps (just in time for Oktoberfest!) 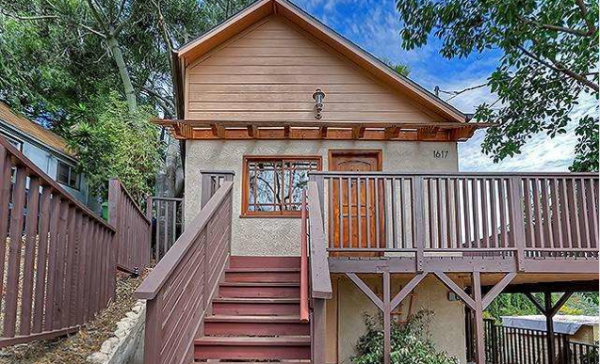 high in Elysian Heights, may I present to you 1617 Ewing Street. 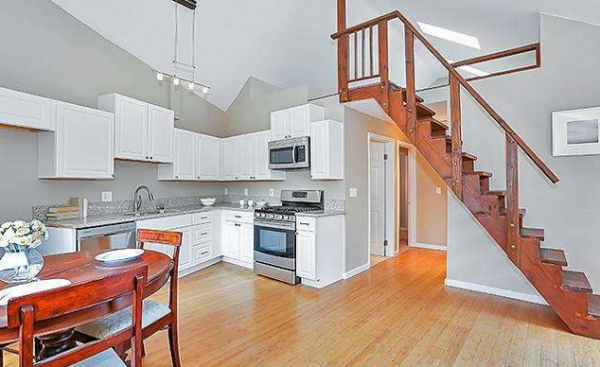 Hitting the market at $489,000, this 2 bedroom, 1.75 bath, plus (un-permitted) loft may be a tiny cottage (just 823 sq/ft! ), but it’s big on usable space. 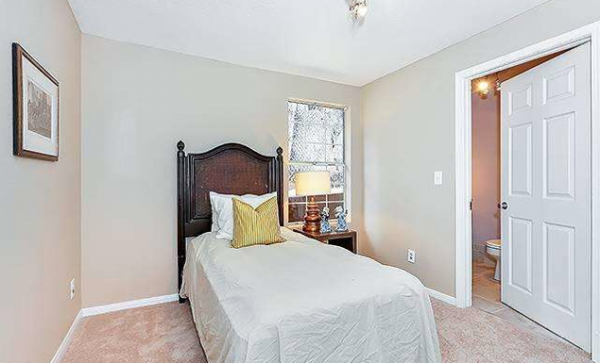 Built in 1912, the home has been updated with bamboo floors and carpet, updated bathrooms and more. Vaulted ceilings, warm colors, modern amenities and lots of light all come together to give this small home a larger contemporary feel. In addition to the high ceiling, French doors lead to an enormous outdoor deck that truly encourages al fresco living and outdoor grilling. 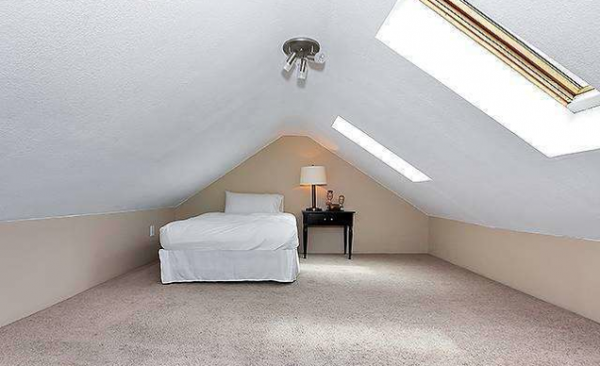 The upstairs loft could easily be used as either an office or extra bedroom — just watch your head. 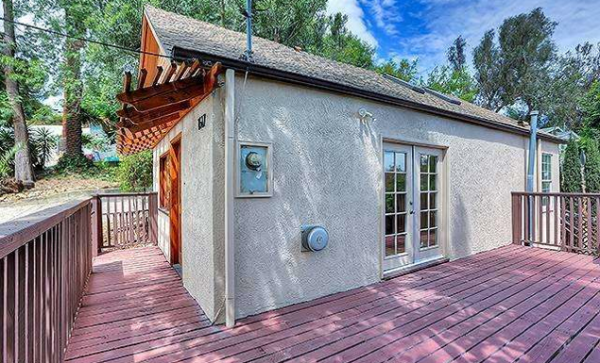 The home also features extra storage under the house, a carport and generally makes for a great condo alternative for first time buyers and small families. 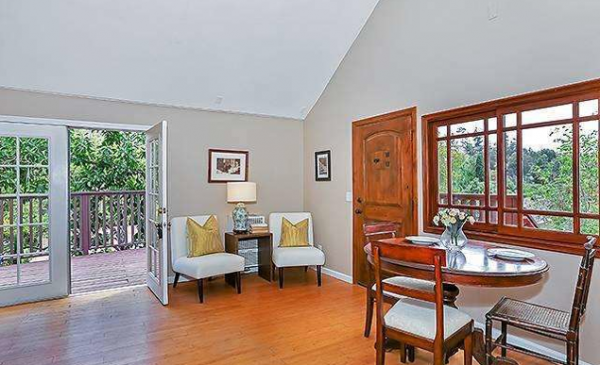 Grace Gaerlin of Coldwell Banker Los Feliz has the listing.